As the director of Real Estate, The Americas, I was responsible to effect this highly visible project. This was a daunting task as I am based out or Reston, Virginia, USA which approximately 5,000 miles from São Paulo. 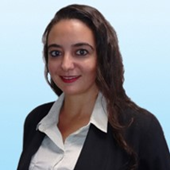 Following phone interviews with several competent São Paulo Real Estate Consultants, I selected Claudia Divani, Colliers International. During her interview I was favorably impressed with her comprehensive knowledge of all available options in terms of prices, landlord reputations and the advantages and disadvantages of each option. Clauida consistently validated my decision to hire her by exceeding my expectations. Her business counsel was always timely and pertinent.